Probably the most common type of manual disbursement occurs in a company that has an accounts payable process through which all vendor payments should flow. Suppose a vendor drops off materials and needs to be paid immediately for that delivery, and there is not a chance to get the vendor payment through the regular accounts payable process. A check will be cut directly to the vendor, and the accounting system is updated later. This is a classic example of a manual disbursement. It is easy to see how this could occur at any business from time to time. There can be cash only deliveries, an immediate need for office supplies and an employee willing to go to the store, or a lunch meeting with a food delivery from a restaurant. In each of these cases, it would probably be considered normal for a check to be cut outside of the accounts payable process. The occurrence of manual disbursements has the potential to create a problem, however. It is an easy way for an employee with access to checks, signature stamps, and other company information to steal funds. The theft could be covered by entering information into the accounting system indicating a cash only delivery from a supplier. Paperwork might not even be required, because the payment is not going through the accounts payable system. It is only later that someone realizes there is no supporting documentation. 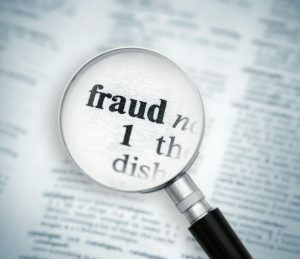 Because this is potentially an easy way to commit fraud, it is important to examine the cash disbursements to see how often manual disbursements are being made and what circumstances surround those payments. It might be helpful to sample some of these disbursements and look for supporting documentation. It is even more important to examine these when the frequency appears very high or otherwise unusual. At one company, the accounting manager was writing checks to himself but recording manual disbursements to suppliers to balance the bank account and cover the theft. He knew that the company’s controls over supplies and inventory were poor, so management would be unable to reconcile amounts on hand to the accounting records. After his theft was uncovered entirely by accident, an examination of the disbursements revealed an unusually high number of manual disbursements. Management knew that cash only deliveries were rare, so there should not be this volume of manually issued payments. Had someone examined these types of transactions, the theft likely would have been discovered much sooner. This demonstrates why it can be important to examine manual disbursements. The company’s accounting system often will have a way to identify these unusual payments. It may be labor-intensive to examine these disbursements, but the work may pay off when fraud is identified.